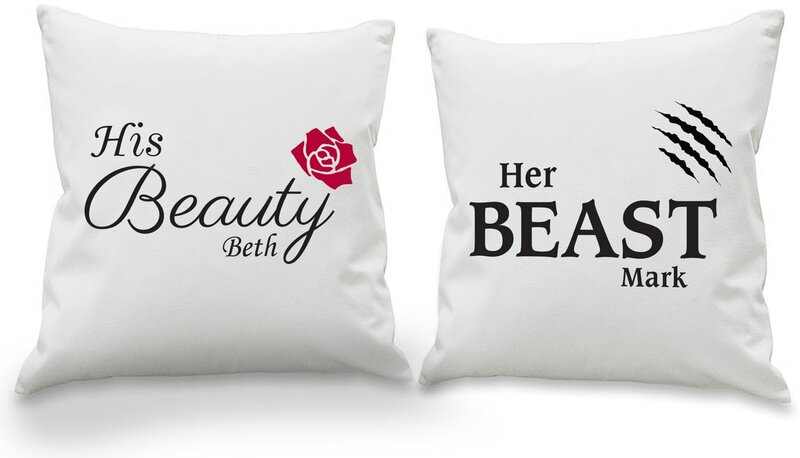 Personalise with your chosen name of 15 characters, written underneath the fixed text ‘His Beauty/Her Beast’. The covers are personalised using flock and are machine washable up to 40 degrees. This mug set makes the perfect gift for couples. Please note ‘His Beauty/Her Beast’ is fixed text. This official and fully licensed Disney Beauty and the Beast 'Ballroom' Cushion is perfect for any dedicated Disney fan. This official and fully licensed Disney Beauty and The Beast Dance Cushion is perfect for any dedicated Disney Beauty and The Beast fan. This official and fully licensed Disney Beauty And The Beast Belle Rose Cushion is perfect for any dedicated Disney fan. This official and fully licensed Disney Beauty and the Beast Belle 'Mirror' Cushion is perfect for any dedicated Disney fan. This official and fully licensed Disney Beauty And The Beast Picture Scene Cushion is perfect for any dedicated Disney fan.